Today we dodged boulders in the road and “played chicken” according to Dennis with trucks on very narrow mountain roads. Doug and Paul finally found spots on the bus for their long legs. 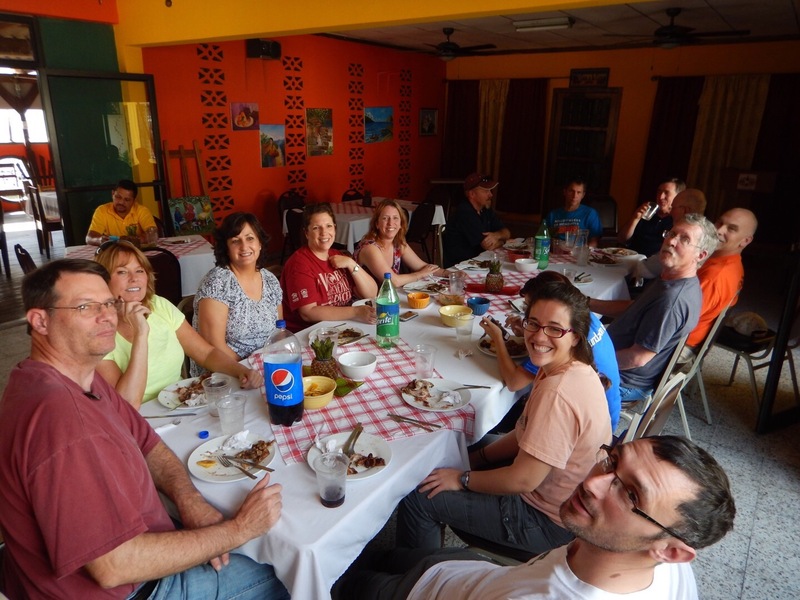 We arrived to La Ceiba around 2:30 for lunch by Marco. Across from the restaurant are beautiful trees. “Rainbow trees”. Eucalyptus. Now we are awaiting the start of the Super bowl. Marco served Escabeche. 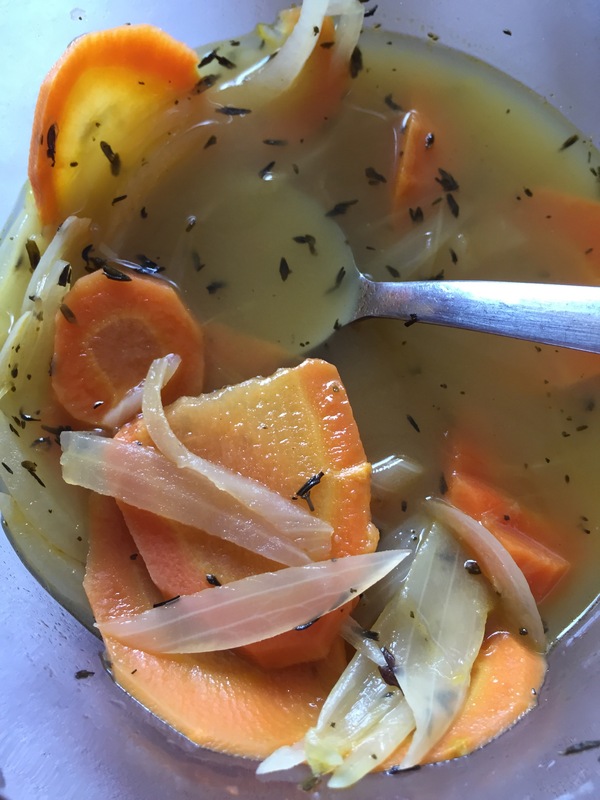 It’s Carrots,onions, water,vinegar,bay leaf,Thyme, salt, pepper. Rico brand vinegar. Last night we went to a German restaurant. 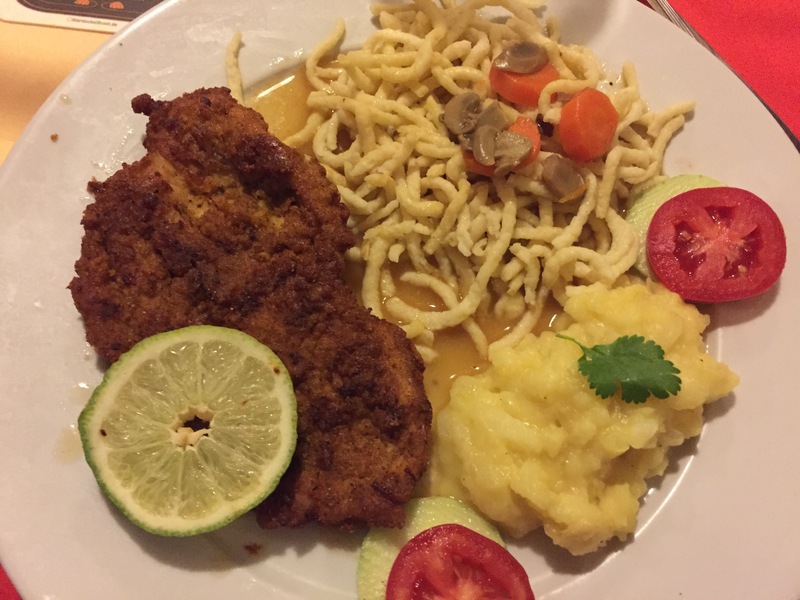 We had spaetzla noodles, schnitzel, and German potato salad. 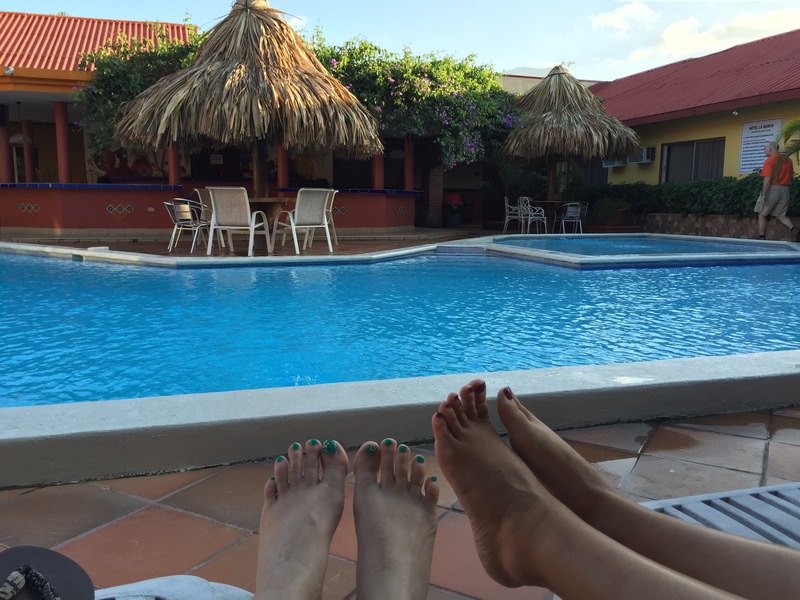 This is Connie and I by the pool. Here’s all of us eating. 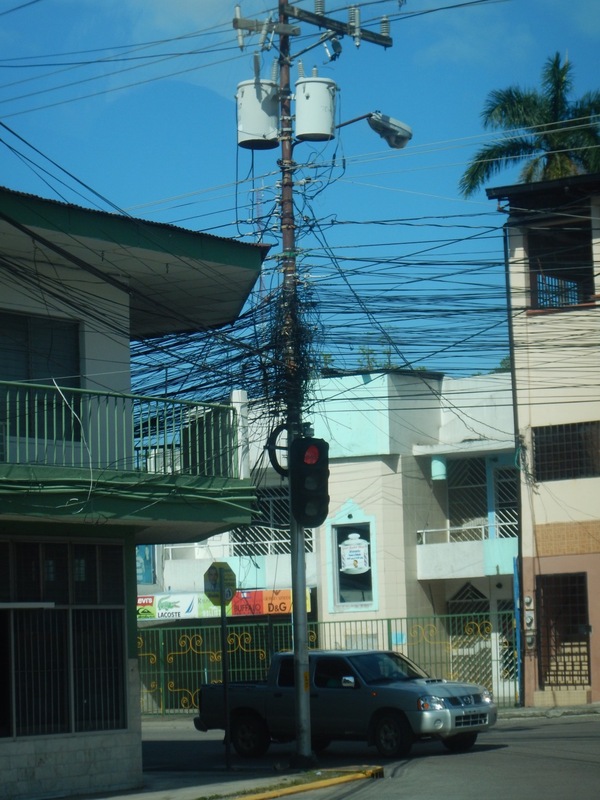 The phone lines here are crazy!! 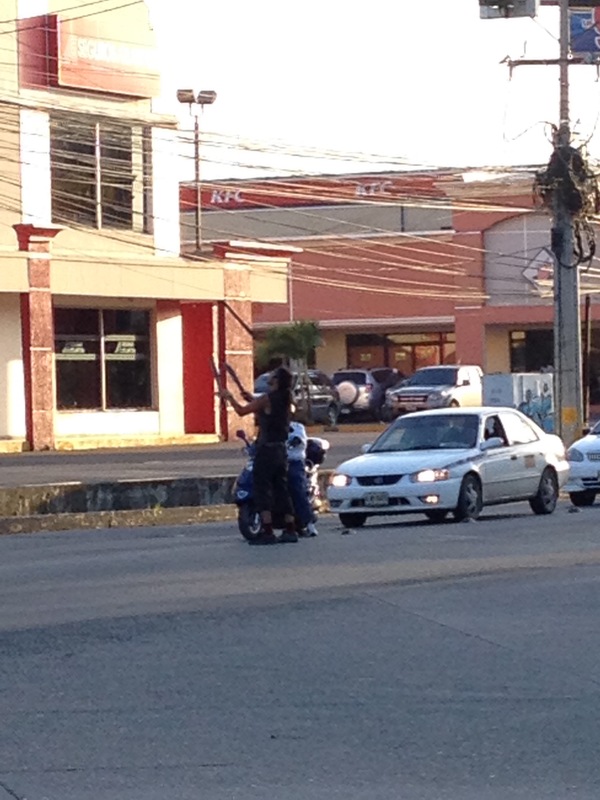 Connie and Sid saw a man juggling machetes in the street. 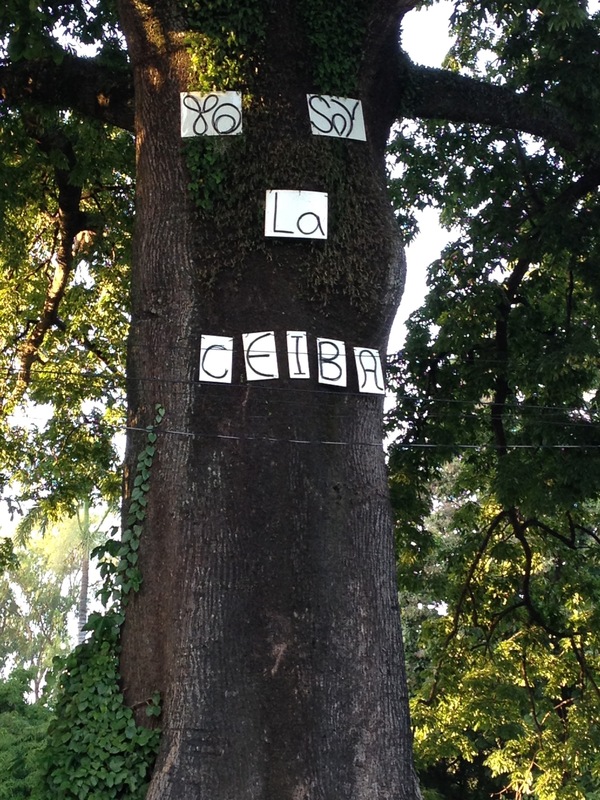 The city of La Ceiba is named after the Ceiba tree. It’s huge.